It’s cookie season! One thing I love during the holiday season is all the seasonal goodies that come with this time of year. Hot chocolate, Christmas cookies and holiday movies. December is like one long cozy month. The past few years my mom, sisters and I have been doing cookie swaps, it’s such a great tradition that we have started. Who doesn’t love a good cookie swap? I normally tend to go the chocolate route, but this year I wanted to try another holiday combo between the mix of cranberries and white chocolate. 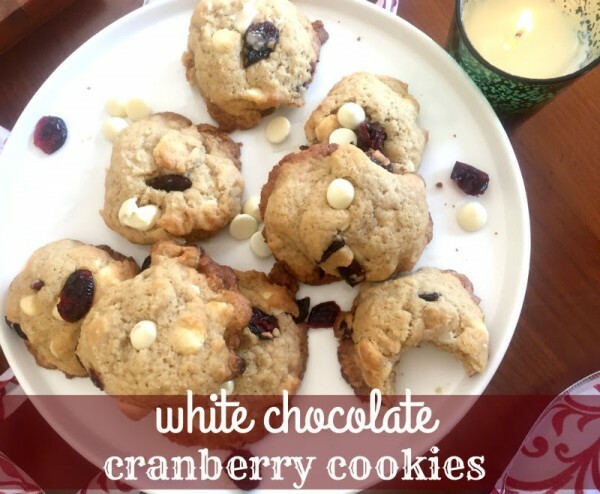 Check out our White Chocolate Cranberry Cookies Recipe below. They were a hit at the holiday party I attended, and a great cookie for a swap! Spray two cookie sheets with baking spray, coconut oil from Trader Joes is great! In one bowl whisk together the dry ingredients; minus the sugars & set aside. In second bowl combine your butter, sugars, and vanilla; whisk until fluffy). 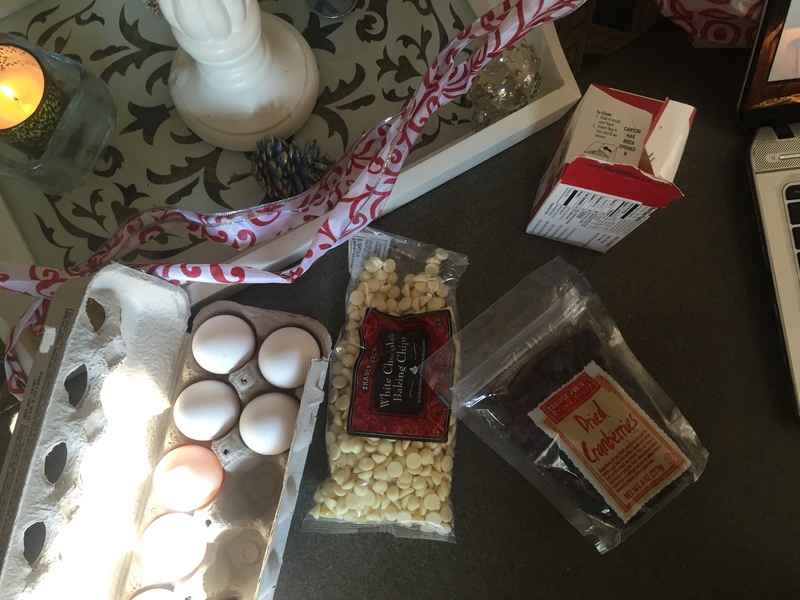 Add the (2) eggs and beat for about 30 seconds – until they become combined. Set aside mixtre and let it sit for 5 minutes, then beat the eggs for another 30 seconds. Gently fold in the flour mixture you set aside with a wooden spoon, stirring until the flour begins to disappear. 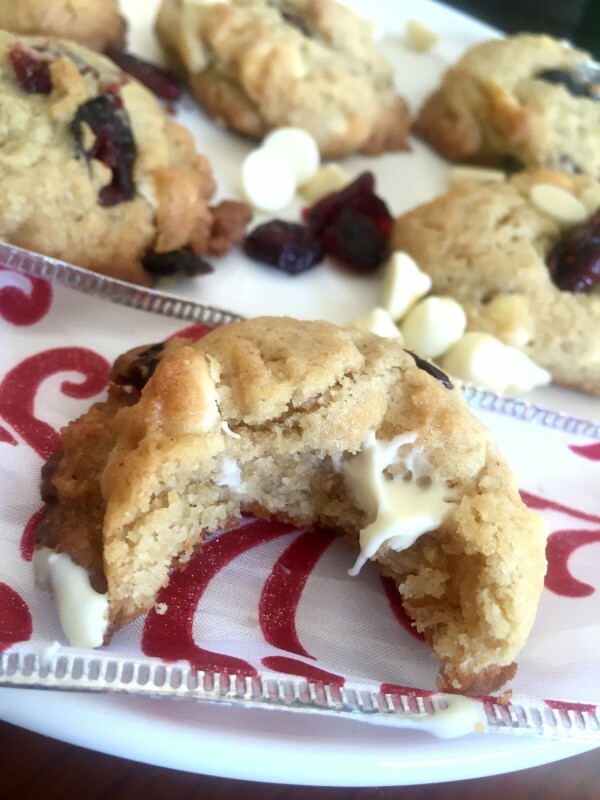 Fold in the white chocolate chips and cranberries. What’s your favorite holiday cookie? – I always love the peanut butter cookies with Hersey kisses. Head over to Piece Of Cait where I share bits and pieces of my life, all the while balancing the blend of a sweet and healthy lifestyle.